b+a architecture strives to provide the best solution and design response to our clients, meeting their particular criteria in terms of spatial needs, image and funding. A particular predetermined style or solution is never imposed on a project but evolves contextually through the design process with the client and the team in a collaborative process. We take pride in our ability to listen and address the specific needs of our clients and to provide creative solutions in collaboration with our client. Innovative and creative design solutions are the result of open and frank communications between all the team members of the project capitalizing on the experience of all involved parties. Our teams are structured specifically for each project and determined by the needs of the project, budget, timeline and complexity and working in collaboration with the client. The staff members assigned to a project will be involved through the entire process from conceptual design to final punch list and close-out. 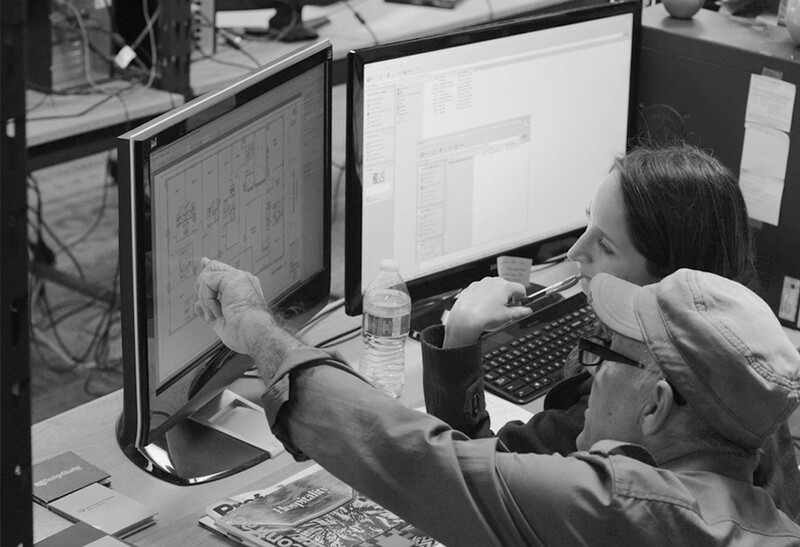 We work diligently to be socially responsible in our design solutions. This entails addressing sustainability, energy efficiency, the historical nature of the project, environment and being fiscally responsible, while still addressing the needs of the client and life safety and code related issues. We have a lengthy resume of different project types and experience as presented on this web site. Many of our clients have been with us for a considerable length of time which is an indication of their satisfaction in our services, and most of our new clientele are referrals from current and past clients. We would encourage you to contact our clients for their view of our work and services. We look forward to meeting with you to discuss your project and how we may assist you in realizing the goals you have set. Please feel free to stop by our new office at any time to discuss your project or just to meet and talk.